Hair straighteners have come a long way over the last 10 years. Choosing the best hair straighteners is a must to avoid a frizzy or flyaway hair day. With so many hair styling gadgets to choose from, all promising to give you perfect poker straight hair, how do you know which ones will deliver the best look? When hair straighteners first came on the market women, (and some men!) all over the world were doing little whoops of joy. Finally, there was a glimmer of hope as it became possible that they might just be able to get that just stepped out of a salon look – every day. 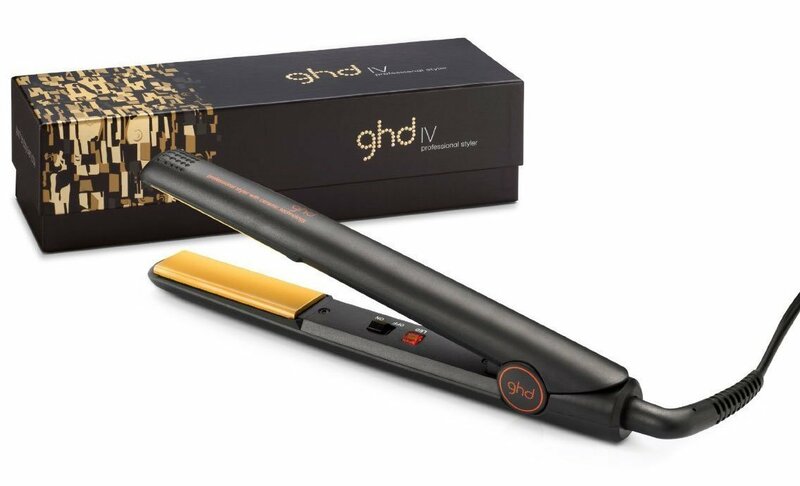 ghd were the leaders of the pack when it came to producing high quality straighteners. My first ever pair of hair straighteners was the ghd IV styler. Different straighteners are suitable for different uses and hair types. Are you looking for a hair straightener with variable temperatures? Or maybe budget straighteners that cost less than £50? I am continuously reviewing hair straighteners to provide you with as much information and advice before you decide which one to buy. I have spent a long time checking out the best hair straighteners for sale. Not just the wide plate straighteners that suit my thick hair, but those suitable for all hair types, so I could share my findings with you here. If you have short or fine hair you will need to look at straighteners with smaller plates. Thin plated straighteners are also good for fringes and men who want to straighten their hair. The ghd IV Styler is one of the best sellers in the UK, and with good reason. It is an incredibly versatile straightener which is suitable for many hair types, in particular shorter hair, but is as equally effective with medium length and normal hair. It struggles a little with thicker and coarser hair types, but that’s not to say it can’t straighten it, but it takes much longer to do (I recommend may favourite straighteners for thick hair further on in the article). ghd stands for ‘Good Hair Day,’ and after trying these products out you can certainly see why. ghd have grown infamous for their life-changing straightener collection. They’ve brought us such a wide range of straighteners and each one seems to work better than the last. It seems only right to kick things off with their most award winning straightener. The ghd IV Styler has become a cult favourite and one that can be found in almost everyone’s collections – let’s see what the obsession is all about! What’s earnt this straightener the title of Instyle’s best beauty buys, along with a bunch of other awards? These were the first straighteners I ever bought, and I can confirm they really do live up to the hype. They work so perfectly and efficiently to perfect your hair with just one swipe. Ghd have really put a lot of thought and effort into the design of this and it’s definitely noticeable when using it. The round barrel is convenient because it allows you to use the straightener as a curler too, so it’s versatile. In terms of what we’re here for: straightening, these irons do an amazing job at delivering a sleek and shiny, perfectly straightened finish. The ceramic and the strength of the heat also helps it work perfectly to avoid any frizz or flyaways. When my hair was cut shorter and thinned out with layers, these ghds really tamed my hair perfectly and cut down a lot of styling time. However, when my hair has grown out a bit and gone back to it’s wild ways, I need to jump back to my wide plates for thicker hair. For normal, short, fine hair, this is definitely one of the highest salon quality straighteners you can treat yourself to. 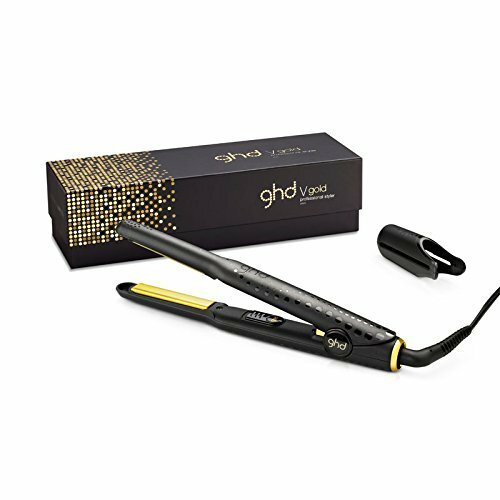 The ghd V Gold Mini Styler is another differing take on the ghd IV Styler. This time ghd has brought us a mini version. This straightener comes with thinner plates that allow for more precision, and it’s definitely a more personalized version for specific hair types. Again, I found that it worked perfectly and left hair silky straight. However, the big difference is that I think this would probably work best for two very specific hair types; men’s hair and shorter hair. The narrowness of the plates would probably work effortlessly with shorter hair, they’d help get precision and to get right up to your roots without burning your scalp. Whilst the straightener still straightens your hair as perfectly as other ghd straighteners, I definitely wouldn’t advise it for longer or thicker hair. The narrow plates are only going to lengthen the process and take you ages to straighten your entire hair. The Mini Styler is ideal for shorter, or even finer hair, you’ll get the same results whilst avoiding burning your hair or your scalp. The Cloud 9 Original straighteners allow you to choose your desired temperature, depending on your hair type. The temperature is adjusted via a one-touch temperature control ranging from 100ºC to 200ºC. The temperature is displayed via a LED screen. A feature that I really like is the ability to leave them alone safely just after you’ve finished using them by using the protective heat guard. This is especially handy to prevent any burns from young and inquisitive children. Also, if the flat irons are unused for 30 minutes they will automatically start cooling down to box temperature. And Cloud 9 take any attempts at counterfeiting seriously. Each straightener has a unique ID number by which they can monitor and track the irons. The plates are ultra smooth, made from mineral infused ceramic surfaces which are much friendlier on your hair, turning it into a glossy and smooth style. If you want to turn your Cloud Nine’s into travel straighteners they won’t disappoint. I love the way they have created the plug. Instead of needing to carry an adaptor plug when traveling to Europe, all you need to do is flip up the plug casing and find a European plug snugly placed inside. The heat resistant bag that comes with the straighteners is perfect for storing your straighteners when no in use. Not only is it stylish, it is also heat resistant. Users report a reduced need to apply as much pressure when running the straighteners through their hair. This makes straightening your hair much easier, both in terms of your arms aching less, as well as keeping your hair in top condition. The Cloud 9 Original is a perfect alternative to the ghd IV Styler – a fantastic all rounder for all hair types. I couldn’t resist including another mini in here! Don’t let the size of this one fool you, the Nano Mini Straightener works as amazingly as its larger sister. This mini straightener is definitely smaller, but it still works equally as beautifully as the full size. I personally find that this straightener works best for touch ups and fixing flyaways. It is miniature so I wouldn’t advise using it for your entire hair; it would just take forever to get through it all. However, this would be super-efficient for shorter hair and help you get right up to the roots. The ceramic plates just glide through your hair and give you an extremely smooth finish. The size of this is a must have for travelling since it is compact but you can depend on it to still leave you with salon-quality hair. Great for touching up hair and getting to the roots – not for straightening long and thick hair. If you have hair that takes a little bit more persuasion to get straight, you will need flat irons that have wider plates. You might be interested in reading my more detailed review of the best hair straighteners for thick hair. The ghd V Gold Max Styler is similar to the IV Gold Styler, plus one very defining difference; the plates are flat and wide. So let’s see if this change was an improvement, or a downgrade. Well the answer is that it depends on how you look at it. The ghd IV Styler was definitely versatile and the rounded barrel allowed it to be used as more than just a straightener. However, the Max Styler works equally as amazingly, with the added benefit of improving the straightening experience. The flat and wide plates allow you to straighten larger sections of hair at one time and it also does so a lot faster. The ghd Max Styler completely perfects your hair and leaves you with the straightest of straight. When it comes to looking for straight hair for thick and long hair, I’d definitely opt for this over the IV Gold Styler. Cloud Nine is definitely an underdog brand; their products really give salon quality hair and yet you hardly hear of them. They had to make it to the list with their amazing Wide Iron Hair Straightener. This is another straightener with wide plates, I find that they really give you the quickest and smoothest results. The wide plates on this iron makes straightening your hair so quick and easy. It works wonders on thicker hair and gives you the same effortlessly sleek straightness of finer hair in the same amount of time. The different heat temperatures on this are amazing considering that it’s so rare to find that option in straighteners. You’re given 7 different temperature settings to choose from which will help avoid damaging your finer hair, or help really work with your thicker hair. Anions are a standout quality that is found in Cloud Nine products, and these really work amazingly when it comes to straightening your hair. It locks in all your hard work and leaves your hair silky smooth all day long. This is definitely one of the most powerful straighteners on the list, it really is industrial strength and a must-have for thick haired girls. Remington is definitely another trusty classic in the hair-tool world. They’ve given us professi onal hair for as long I can remember. So let’s delve into what they have to offer in the realm of straighteners. The ceramic ultra coating on the plates of this provides users hair with the most unbeatable smoothness. Along with the vast heat temperature options, this can really work to completely smooth out your hair and leave you flyaway-free. Again the wide plates make a comeback. I honestly believe the width makes a world of a difference. It just allows you to straighten larger sections of hair at one time without worrying that you won’t be getting flawless results. Your hair just runs through the plates so smoothly, even with the most unruly hair. We’ve seen wide and we’ve seen mini; but this Remington S3500 Ceramic Straightener offers us length. The longer plates give this straightener a unique edge to stand out from the rest of the list. So, what added benefit does length give? These extra long plates allow you to get wider sections of hair and grip your hair right from the root. This process makes straightening your hair pass so much faster. It’s also worth noting that this technique can be extra helpful when it comes to having layered hair. You can make sure you get each layer right from the root, instead of having kinks at the tops of your hair. The ability to get right into the roots that the length gives you is ideal for a smoother effect, it gives you a smoother glide that can help you straighten your hair without flattening it out. The length of the Remington S3500 is ideal for layered hair and getting to the roots of hair when straightening. Just by the name of this one you can tell it’s a little different. The Remington S8500 claims to contain Moroccan oil infused plates which automatically leaves us expecting super smooth and sleek hair; let’s see if it delivered. The ceramic plates of the Remington S8500 are infused with Moroccan Argan oil, as well as Vitamin E, and whilst this seems extremely gimmicky, it actually works. This genuinely does enhance the shine of your hair and leave it feeling 10 times healthier. You might be interested in my guide to Argan Oil. Usually when straightening our hair it can feel burnt, but this straightener leaves it feeling nourished and fresh. Your hair will be left sleek and glossy, whilst also feeling assured that it is being treated gently. The best part is that because of the heat settings and the plates size this can give the exact same level of glossiness to finer and thicker hair. It works amazingly well to smooth away flyaways and any breakages. TRESemme have been delivering salon-quality hair to the masses for as long as I can remember. This truly is a brand that gives you luxury from home. Let’s see how they fare in the world of straighteners. Safety shut-off after 72 minutes of no use. As expected, TRESemme did not disappoint with this tool. This lightweight straightener gives salon quality performance and the advanced 1 inch ceramic plate heating system helps it avoid any tugging at your hair. This will smoothly glide all the way to your ends. When you use this you’ll notice a little extra shine. I think there’s something about the quality of the ceramic on this one that really gives that extra oomph of glossiness to your hair. The highest heat setting on this works perfectly to give you the straightest hair in the least amount of time; it is extremely convenient and time-efficient. While BaByliss are typically associated with curlers or blow drying products- they actually have wowed us all with their selection of straighteners. Their Pro 235 Elegance Straighteners is one of the most affordable on the market whilst still leaving you with high quality hair. From the gorgeous purple/pink packaging to the amazing performance; I love everything about this straightener! Possibly the most impressive factor of the Pro 235 Elegance Straightener is the efficiency of this. This is hot and ready to go within only 15 seconds, now that’s impressive. It doesn’t hurt that the tool itself works wonders with your hair. There are three temperature settings. Users report not feeling like they have to keep going over the same bits, which is great for your hair. The salon quality finish this gives your hair is fantastic, considering how affordable this is. The results are also very long lasting. 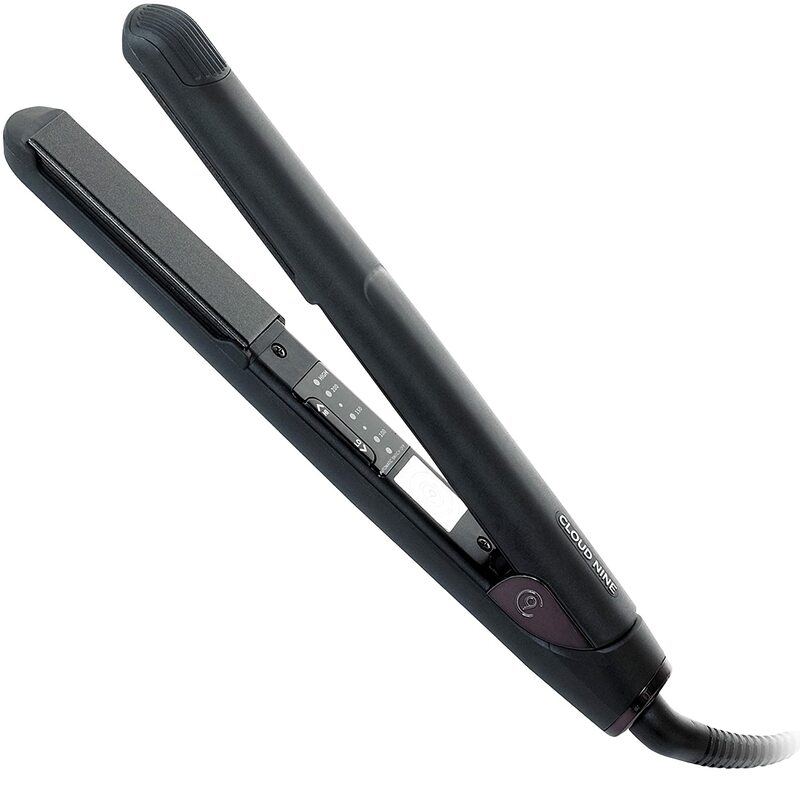 The optimum temperature can completely straighten hair with a single swipe. What Hair Straighteners Should You Buy? Over the years I have tested out quite a few different irons, either ones I own myself, those belonging to friends, or in a hair salon. As ghd were the first company to create and market hair straighteners, there was nothing to really compare them to. They were a beauty appliance like no other. Fast forward to 2018 and there are numerous companies all selling hair straighteners and all claiming to be the best. So, it pays to do your homework and find out which straighteners will suit your hair type (and budget) best. There are many places both online and on the high street that sell hair straighteners. It is always best to compare prices online before purchasing anything. After my research I have always found Amazon to be one of the cheapest places online, but do always check on the high street too. The plate type that a hair straightener uses is a really important factor. Depending on what kind of plate is used will make a big difference to the price. That is one of the main reasons that hair straighteners vary so much in price. If they are really cheap it is because the quality of the plates are much less than the more expensive ones. This is hands down what confused me the most when I was researching which irons would be the most effective for my hair type. My mind was buzzing with titanium, tourmaline, ionic charge and a whole host of other follicle related jargon! Hopefully, my explanations below might go some way to helping you understand what they all mean. Titanium plates are lightweight, so easy on the arm if you spend a lot of time straightening, yet titanium as a material is incredible durable and likely to last a longer time. Titanium heats up fast and keeps hair smoother with a higher ionic charge. Solid titanium plates are ideal for straightening thick or coarse hair. Ceramic plates are more common in hair straighteners than other materials. They heat up evenly which helps to reduce damage from hot spots when applied to your hair. They hold heat evenly and can maintain the heat for a long length of time. There is less chance of damage with ceramic plates. They suit all hair types, especially thin and fine hair. Tourmaline are the latest plate types to hit the hair straightening market. Tourmaline is a naturally occurring mineral that reacts to heat. Tourmaline produces negative ions which close the hair cuticle during hair straightening. The natural moisture that your hair produces is sealed within meaning that your hair will look healthier and shinier. The straightener can heat the hair at a faster rate meaning that less heat is applied in total. This is all great news for your hair as the result is less heat damage. Metal and Glass are the cheapest materials used in hair straightener plates. These are often found on the lower priced straighteners and I really wouldn’t recommend them. The plates do not heat up quickly and the heat is often distributed unevenly, meaning a lot of potential damage for your hair. Being able to adjust the heat temperature is a nice feature. Everyone’s hair type is different so it is important to be able to change the level of heat accordingly. If your hair is thin or has been damaged previously, then you will need a lower temperature setting. If you have thicker hair that is hard to tame then a higher heat setting will be needed to get an effective result. See our Hair Straightener Temperature Guide below for more details. Temperatures can vary between 185 and 235 degrees. Some straighteners will have a set temperature, whereas others are variable, enabling you to change them as you wish. As hair straighteners have evolved so have their plate sizes. Whereas it used to be a one size suits all scenario, there are now hair straighteners specific to hair types. The most common plate width is 1.25 inches to 1.5 inches wide. However, if you have shorter, thinner hair, or hair that is already straight, you might want to opt for a narrower hair straightener with a width as narrow as 1 inch. If you have thicker, coarser or curlier hair you will more than likely need a wide plated iron, between 2 and 3 inches wide. Both ghd and Cloud 9 do a really good job with their plate sizes, enabling people with different hair lengths and types to benefit from their straighteners. A hair straightener might not seem heavy at first, but after you’ve been using it for some time you’ll really start to notice it in your arms. The more recent models on the market tend to be made lightweight if they have titanium, ceramic or tourmaline plates. If you can, go for a hair straightener with a longer than standard cord. This way you don’t need to worry about the mirror and plug socket being close together. The other important factor with a cord is whether it has a swivel. It’ll make straightening so much easier by avoiding tangles in the cord. It will also protect the cord from the damage caused when it gets bent. It’s the little things that will make your hair straightener your favourite investment! Some straighteners comes with heat mats, travel bags. All should come with a 1 or 2 year warranty. Don’t buy one without it. You can buy some for under £10, or for as much as £150. As with most things, the cheaper the product, the less effective it is. The plates on a straightener are made from different materials, from ceramic coated, to the higher end titanium and tourmaline. The kind you need will very much depend on your hair type, how often you want to use it and how important super straight hair is to you. Choosing one that is in budget is often the deciding factor. If you can afford to buy one of the better brands, such as ghd or Cloud 9, I would really recommend that you do. If you are going to be using it a lot and want it to last a long time it is a worthwhile investment. Sometimes it can be a false economy to buy a cheaper item as it sometimes breaks more easily or it doesn’t work as well as you hoped it would. I know that I get a lot of use out of my ghds as I have very thick and wavy hair. It was an investment that has paid off time and time again. I wouldn’t be without them. a) What is my budget? c) How often am I going to use them? Then take a look through our hair straightener reviews and decide which one suits you best. Let us know how you get on and if you have any questions or want some advice, please do just ask! Step 2: Wash your hair. Use the appropriate shampoo and conditioner for your hair type. Step 3: Rough dry your hair with a hair dryer until it is about 80% dry. Grab a hair brush and dry your hair using the brush and hair dryer. Step 4: Section your hair, especially if you have thick or long hair. The hair straightening brush is the latest wonder to hit the hair industry. They are certainly popular, but are they good enough to replace your trusty hair straightener? You can read my complete review here, but if you want the summary, I think they are great enough to invest in a pair, especially as they are so reasonably priced. They are very effective for touching up hair and work well on normal to fine hair. For me with thicker hair I will always recommend the wide plated Cloud 9 or ghd straighteners for the bulk of your hair straightening efforts. But I get good use out of a hair straightening brush for the odd tidy up, or if I want to get a more natural straight look (ie. not dead straight hair). Can I Curl My Hair With A Straightener? Yes, despite being straighteners, they can be used for curling hair. I prefer to use thinner straighteners, such as the ghd IV Styler. If you only have a wide straightener such as the ghd Max Styler, you can use this type too, but your curls will be larger. Do I really need to use a heat protectant? Yes, I really do recommend you use one! You might not notice any heat related damage straight away but it will happen. Using heat appliances on your hair on a regular basis can dry it out and make it brittle. The risk is higher if you colour your hair or have naturally dry hair. If you don’t have any heat protectant, or don’t want to use commercially made products, you can go the natural route and use coconut oil instead. Just rub a tiny bit through your hair and comb through before straightening. There are many benefits when using coconut oil for hair, as well as nutritionally! I have steam coming out of my hair – should I be worried? What temperature setting should I use for my hair? It’s important that you use a temperature setting appropriate for your hair type. Thicker hair will require higher temperatures than finer hair. It’s always best to start at a lower temperature and gradually increase it until you get to the desired temperature.